Chewing is overrated. Why waste all that time and energy moving your mouth and gnashing your teeth when you can just sit back and let your supper slide straight down your throat? That’s why we’ve decided to throw out our forks and knives and pick up a brand new blender. The KitchenAid Diamond Blender has a strong vortex and a solid blade that blends well without getting jammed or needing periodic pauses to push ingredients down. The secret is the blender’s Soft Start feature. The blades start spinning slowly to pull down the food before speeding up to blend. 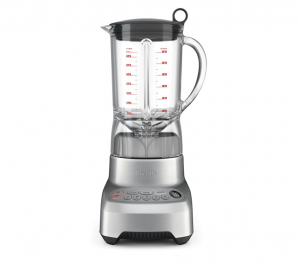 As the name applies, the 5-Speed Diamond Blender can stir, chop, mix, puree, and liquify. There’s a pulse button for each setting and a very effective crush ice setting as well. 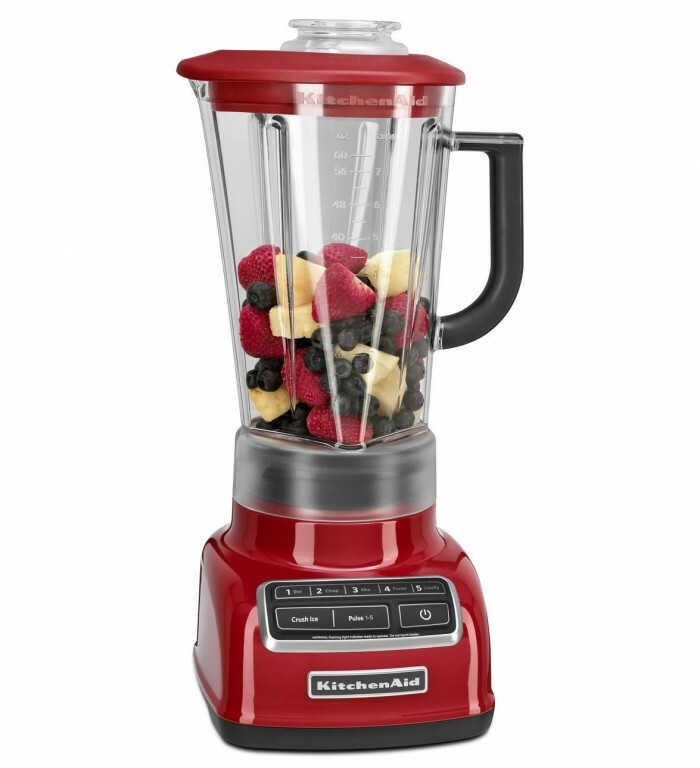 The Diamond Blender can even turn tough foods like kale, nuts, and berries into a surprisingly smooth consistency. Though it has a large 60 oz pitcher, the Diamond Blender has a slick and compact design that feels retro but looks modern. It comes in 14 colors from majestic yellow to cobalt blue to contour silver. 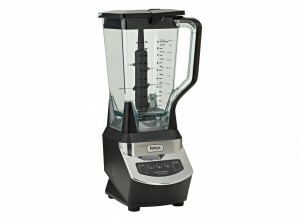 Though effective, it doesn’t quite have the power and finesse of a high-end blender. Unlocking the pitcher from the blender’s base can be difficult and frustrating until you get the hang of it. The blender’s Permanent Hemisphere® Bowl and Blade System has a set of blades to draw down food from the top of the pitcher and another set sweeping the bottom of the pitcher. Like the KitchenAid Diamond Blender, the Hemisphere has five speeds and a pulse control. The 48 oz. plastic pitcher is rounded at the bottom. This both eliminates food traps and makes the piece easy to clean by hand. The timed smoothie preset button is a cool differentiating feature. Just press the button, sit back, and watch the smoothie make itself. 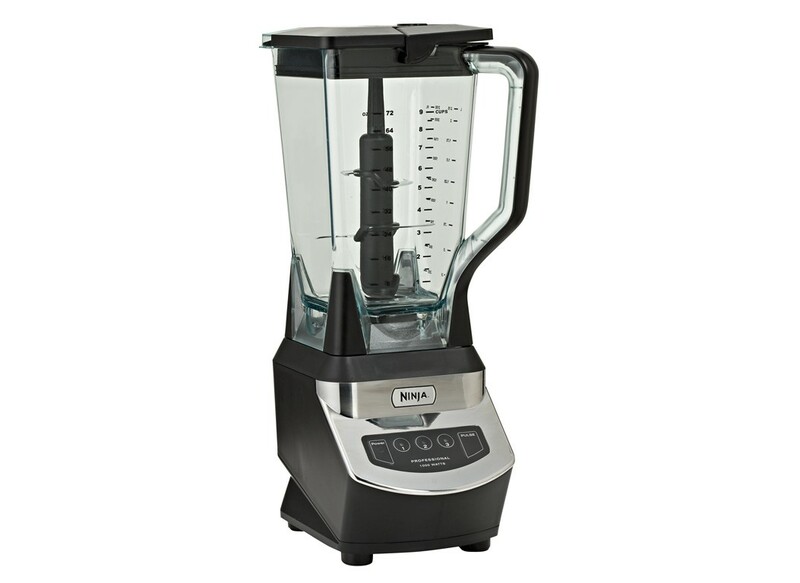 With a sturdy metal base, the blender will keep secure and steady on your kitchen counter. While the blender works great, it may take some time to figure out how to handle certain foods. For instance: Frozen fruit will give the blender trouble unless you use the crush ice preset first. 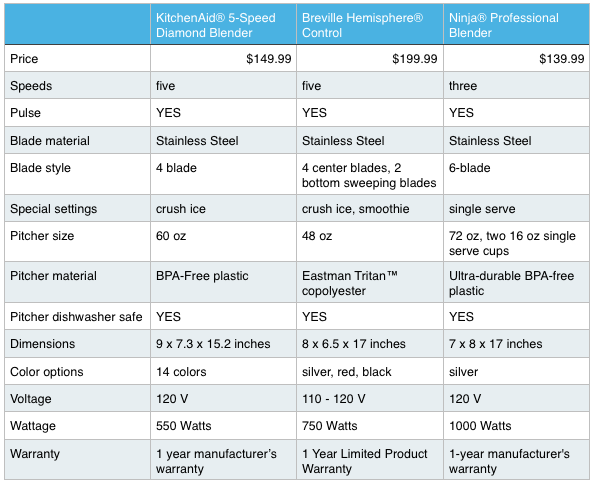 At just under $200, the Breville Hemisphere® Control is the most expensive model we looked at, but doesn’t outperform the lower cost options. The Professional Blender has a huge 72 oz. pitcher, but also comes with two single serve blending cups. You can just pop the cup on the blender, make a smoothie or some juice, and take the whole thing with you out the door. Clean up is easy since all parts are dishwasher safe. The base has suction cups to keep the blender from moving around from it’s prescribed place on the counter or ceiling. The blade is super sharp and hard to handle while cleaning. There are also only three blend speeds. More doesn’t always mean better, but the Ninja doesn’t blend as smoothly and consistently as the other two reviewed blenders. While the Breville Hemisphere is comparable in quality and the Ninja is a little cheaper, The KitchenAid® 5-Speed Diamond Blender excels against the competition. It operates like a much pricier blender and looks good while doing it. Take a look at our breakdown below and continue to see which blender works best for you. Watching TV shows on TV is fine. But using streaming services on computers and mobile devices is so much more convenient. You can watch any show at any time with a click of a mouse. Here at The Foundist, however, we’re even over watching TV on computers. We’re on to the next, groundbreaking thing: Watching TV on computers on TV. 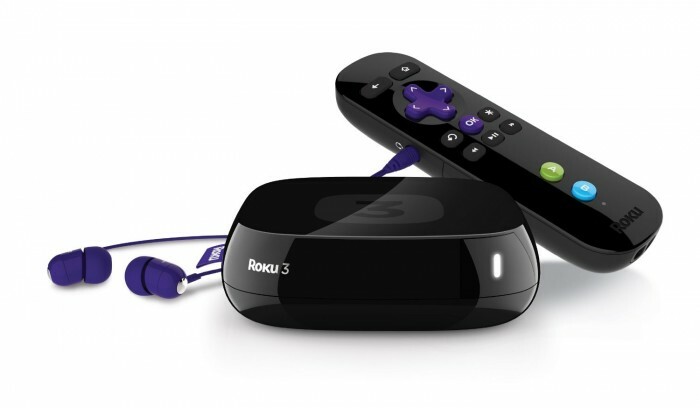 That’s why we decided to take a look at the Roku 3— one of the leaders of streaming devices. 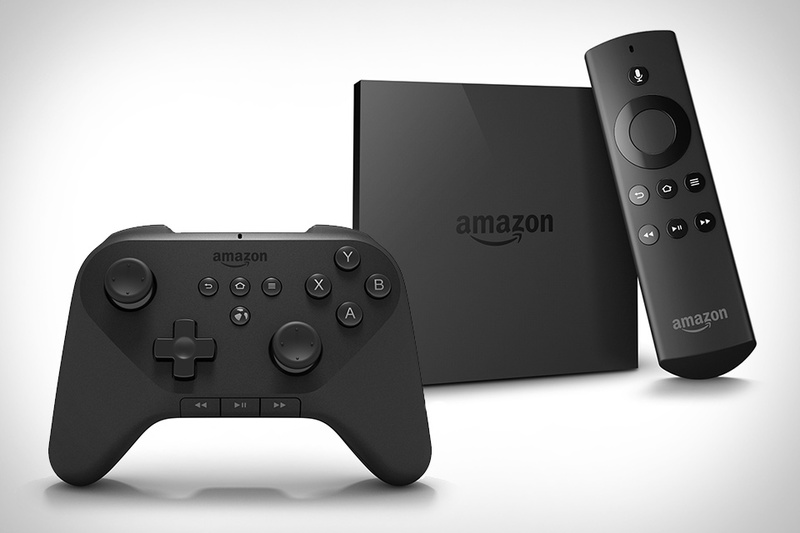 To get a fuller perspective, we decided to compare the Roku 3 with two other similar devices: Amazon Fire TV and Google Chromecast. Let’s see how they stack up. Roku 3, like the other two devices, is incredibly simple to use. Plug it into your TV, connect it to the internet, and you’re watching whatever you like on streaming services like Netflix, Hulu, and WatchESPN. Roku 3 specifically has over 1,000 channels in addition to the old stand-bys. There’s even a cross-platform search so you can find the shows and movies you want to watch… wherever it is. The Roku 3 is lightning fast with almost no noticeable lag. 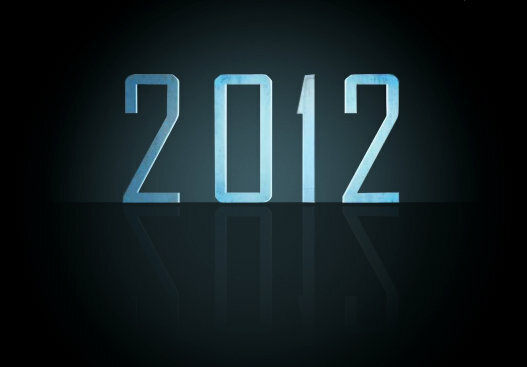 The interface has been updated and is a breeze to navigate through as well. Roku 3’s remote is simple and easy to use. There’s a headphone jack right on the remote for private listening and watching which comes in handy much more often than you’d think. The remote has a motion-sensor but with very few gaming options, there isn’t much use for it at the moment. If you’re interested in watching or listening to anything from your personal library, Roku doesn’t make it easy to do. Amazon has a large and dependable roster of apps and programs to make sure you can watch your favorite shows and movies. The gaming library is much more extensive than Roku. It greatly favors content from Amazon Instant, and because you basically need an Amazon Prime subscription, you’ll keep paying for your purchase long after the initial $99. It’s super cheap and it works very well. It may not have the selection that other devices have, but it can also cast your computer screen on your TV. Anything that plays on your laptop will play on Chromecast. 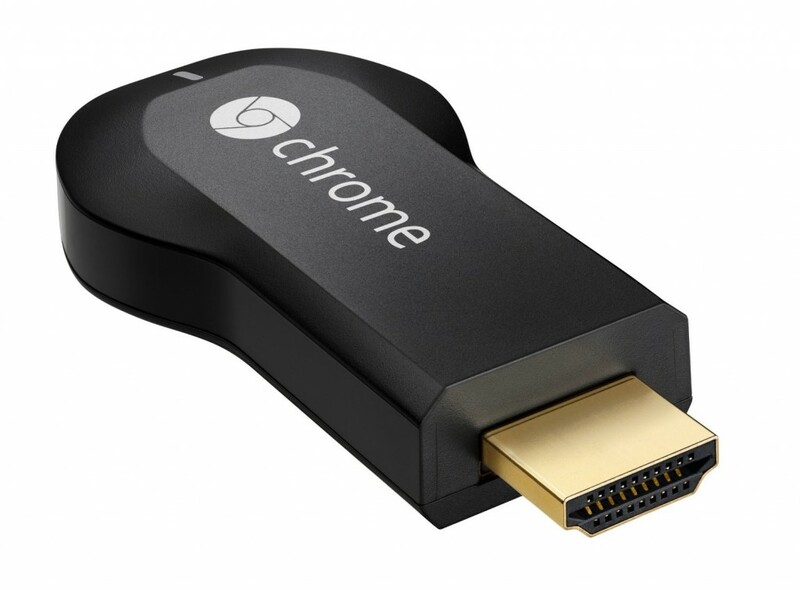 You can also still use your computer while the Chromecast is streaming. It’s very limited and dependent on your other devices to run. If you choose to cast directly from your computer screen there are two drawbacks. The screen can only be visible in 720p and there’s a slight time lag between the two screens. All three are dependable, but The Roku 3 is the superior device with the best variety and interface. If you’re only going to use a streaming device to watch Netflix on the big(ger) screen though, you can’t beat Google Chromecast for doing the job effectively and cheaply. It all depends what you’re looking for. 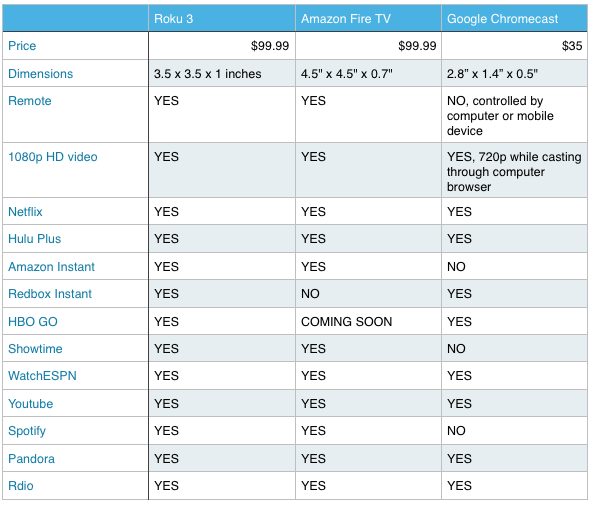 Take a look at the comparison chart below to see which device best works best for you. The young Lord Instagram, mighty adopted son of the great Lord Facebook, rules over the mobile lives of a global kingdom. We take photos of everything. We take photos of our meals, our new outfits, our cars, our meals, nature, our meals, skylines… you name it, it is living somewhere on the land of Instagram. And like in any reality based realm, we like to look our best. On the mobile app, that means photo editing. 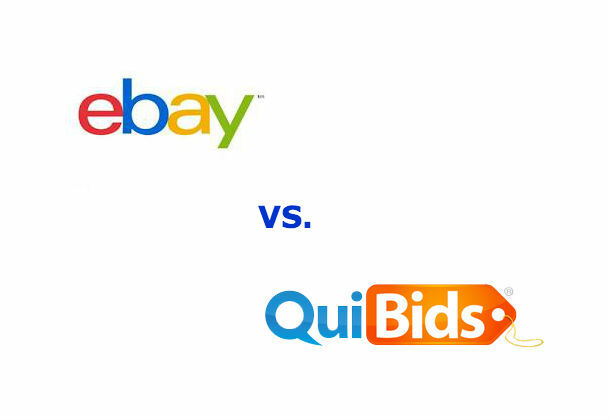 While Instagram is technically a photo editing app (where the endgame is to share your finished product), there are a slew of others that have come to market in recent years for those of us that want more than a Sutro or Earlybird filter. Some of these apps are free, some aren’t. The price isn’t necessarily indicative of an app’s awesomeness. 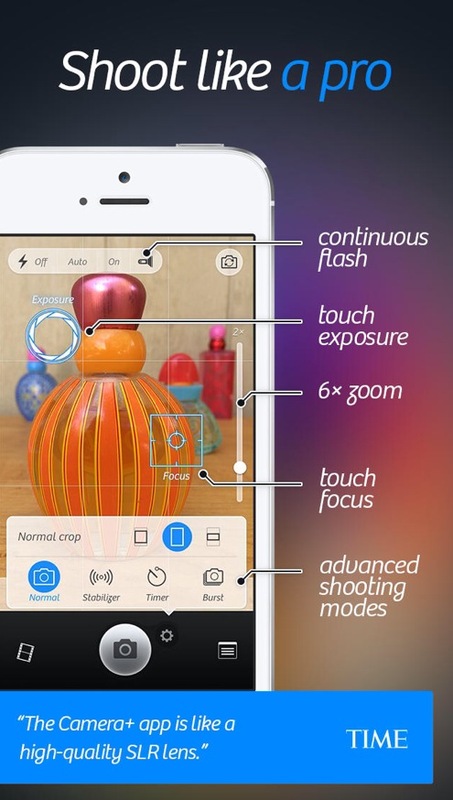 Of the top thirty apps buzzing the scene today, we chose Camera+ as our favorite photo editing app for amateurs and pros alike that are employing Apple. 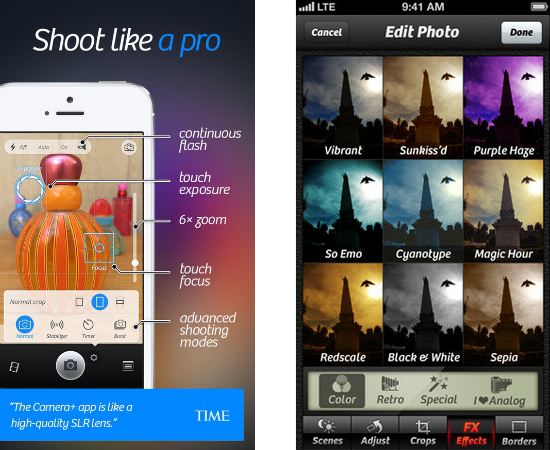 Priced at a reasonable $1.99, Camera+ is an all-Instagramers favorite. “Whether you’re a seasoned photographer or someone who’s barely touched a camera, Camera+ will make you love taking photos…” That is, without a doubt, a heavy handed way to hype yourself up. I’ll disagree with the wording “make you love taking photos.” I don’t feel imposed on or ruled over (okay, okay, the metaphor ends here); I feel invited. Camera+ is user-friendly. The interface feels natural to interact with. For instance, the Touch Exposure and Focus features hardly need pointing out. If you’re second nature is to touch the photo first—which for any Instagram user that is the case—then you’ll find that you can set exposure separately from focus. The Grid, Flashlight for brightening, and Digital Zoom are all familiar enough to those of us interested in tweaking our shots. 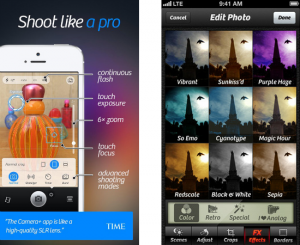 It is the Shooting Modes, and that aforementioned Touch Exposure and Focus feature, that set this app apart from the masses. Shooting Modes gets your phone as close to a traditional camera as possible. Set the Stabilizer to steady your phone for the crispest shot imaginable; set the Timer the way you would to shoot a family portrait; set Burst for quick-fire streamlets of pics that work great in any active / sports scenario. Camera+ turns any iPhone into the original Olympus family outing camera, 21st century edition. Camera+ is available fore iPhone and iPad. Pipes come big and small, but when a big sound comes from a small inconspicuous pipe it is hard to keep the jaw hinge tight. Here are five little girls performing on big-name talent shows for a chance to shock and awe. Some of these future Beyonce’s and Jennifer Hudson’s bring serious sass and umphf to the stage, while others tender up the judges with an earnest streak of shyness. Regardless of how far along they are in the development of their inner diva, these five blossoming buds kill it, and we have no doubt they will flourish to the top of the charts. College Humor strikes again with a hilariously (annoying) Nickelback-style parody of people’s ridiculously annoying Instagram pics. Bathroom mirror selfie? Annoying. Heart design on your latte? Pretty, but also annoying. 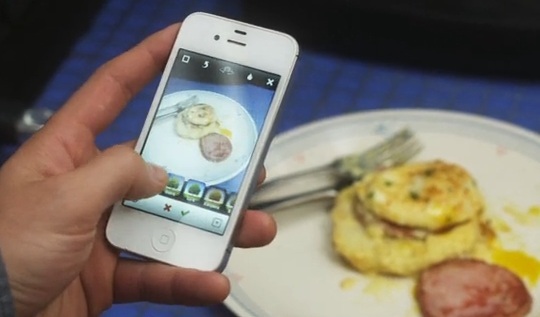 Find out what other cliche Instagram pics made the cut by suffering through the video here. Psy taking over the world! First, he conquered YouTube, then he shut down the VMAs with MC Hammer and now Psy has his sights set on your holiday card. Upload your face (or anyone’s–we added our friend, Lindsay’s), add a message, and then JibJab does the rest. 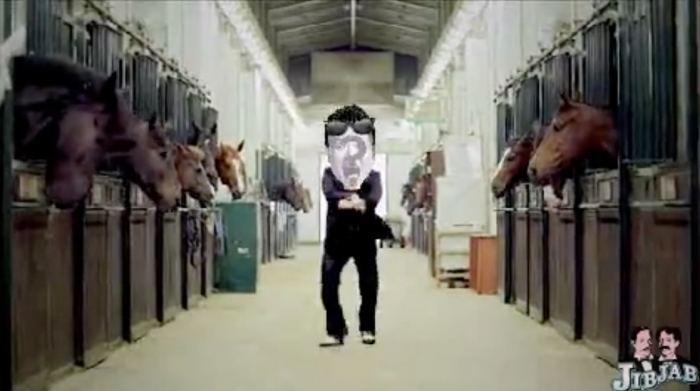 Within in a few short minutes, you’ll have your very own horsey dance video to spread holiday cheer! Easy, right? And it’s free, too! 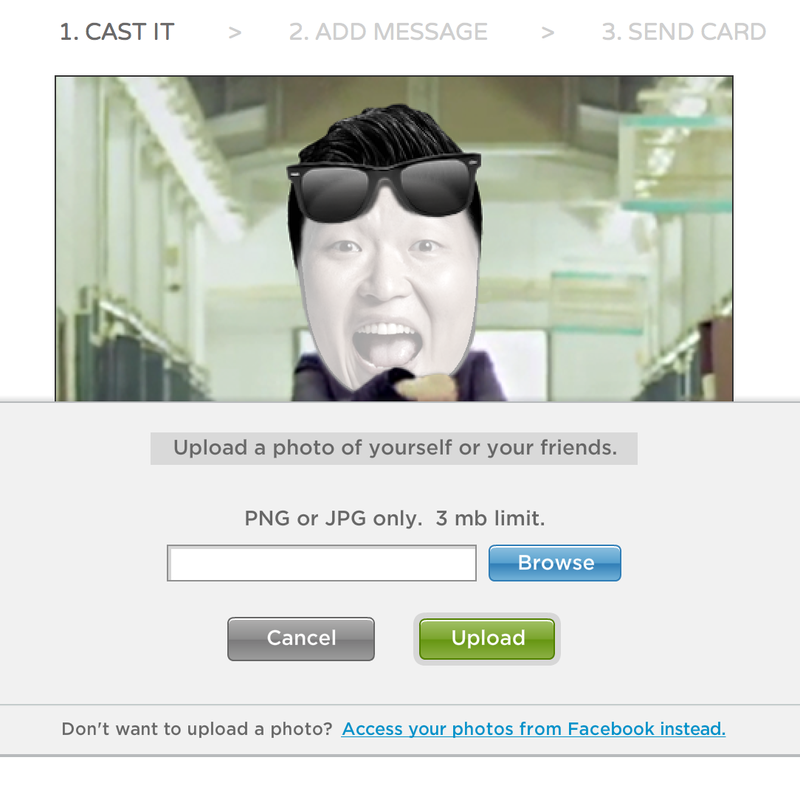 Make your Gangnam Style eCard here. Ah, bacon–who can get enough of it? Apparently, not the folks at J&Ds because they invented a new way to add it to your morning routine. 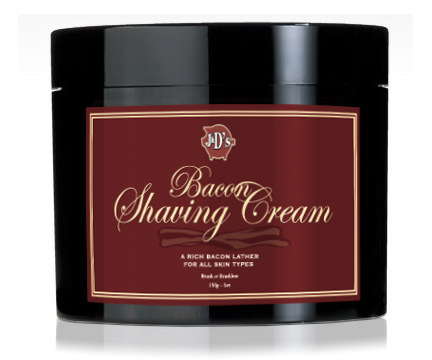 Behold, J&D’s Bacon Shaving Cream. Yes, it’s bacon-scented shaving cream and yes it’s a real thing that sells for $15 a jar. Now if you’re wondering if it actually smells like bacon, it does. I wouldn’t be surprised if you got bitten by a dog on your way to work after using it. Great or gross? You be the judge.